Natron Jasper Wood Products are part of the Jasper-Natron family of companies and are located in Jasper, Lane County, Oregon. 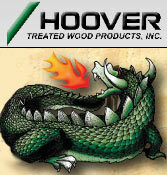 We have been custom-treating and custom-drying plywood and industrial LVL for more than twenty years. We strive to meet the evolving needs of our customers, and we are members of the American Plywood Association (APA). Our dedication to environmental responsibility is evident throughout our manufacturing process. Our goal is to provide reliable, high-quality products on time and at competitive prices.